Is boost for campaigners who claim fish-farming is harming marine environment. 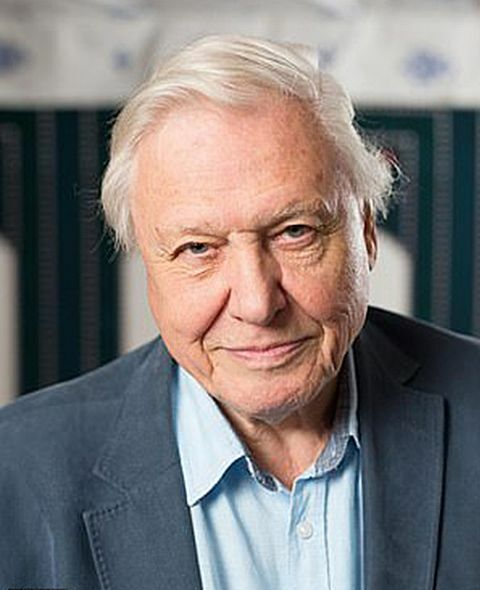 Sir David Attenborough has accused fish farms of ‘threatening the very survival’ of wild salmon. In a YouTube film to mark the International Year of the Salmon (IYS), the broadcaster and conservationist warns: ‘The survival of these astonishing fish is at risk. ‘Salmon are incredibly important fish,’ Andrew Graham-Stewart, director of Salmon and Trout Conservation Scotland – which commissioned the short film – told The Mail on Sunday. Global populations of wild Atlantic salmon have fallen from between eight to ten million in the 1970s to between three to four million today. Critics say intensive farming increases the number of diseases and parasites such as sea lice, which then spread into the sea and attack wild fish. They also fear fish escaping from farms – most of which are in Scotland – breed with wild salmon and weaken the genes of the wild fish. But Hamish Macdonell, director of strategic engagement at the Scottish Salmon Producers Organisation, defended the industry. ‘Sir David is absolutely right that there are a range of potential, man-made threats to wild salmon populations: the most pressing of which come from climate change, pollution, over-exploitation and changes to our oceans,’ he said.